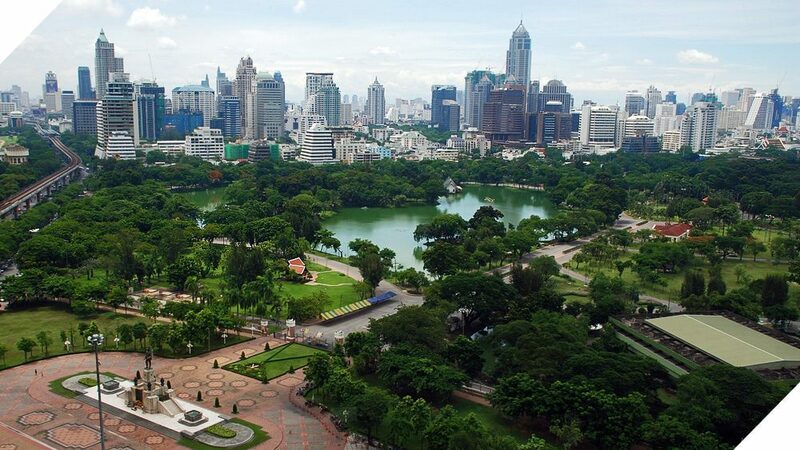 One of the best things about NIST is its location in Thailand’s capital, one of the most vibrant, eclectic and culturally diverse cities in Southeast Asia. If you’ve just moving to Bangkok, however, we understand that the city can feel a bit overwhelming. NIST employs a full-time international family liaison who helps all families adjust to the school, and particularly those who have relocated from abroad. Additionally, below are several resources that will help you adjust to the transition. The Bangkok Guide, written by the Australian-New Zealand Women’s Group, is one of the best resources available for expats settling into Bangkok. Click here for more information about the Bangkok Guide. Please contact the Admissions Office if you would like to purchase a copy of the Bangkok Guide. Moving to Bangkok can be a challenge, but we are firmly committed to helping all NIST families have an enriching and rewarding experience. As you begin to to adjust to your new home in Thailand, you may struggle to find various resources and services in a variety of areas. Though NIST does not formally endorse any of the following companies, they have been used by members of our community and have received positive feedback. Bumrungrad International is a Joint Commission International accredited, multi-specialty hospital located in the heart of Bangkok, Thailand. Founded in 1980, it is one of the largest private hospitals in Southeast Asia, with 580 beds and over 30 specialty centres. Bumrungrad International offers state-of-the-art diagnostic, therapeutic and intensive care facilities in a one-stop medical centre. Bumrungrad International serves 1.1 million patients annually, including over 520,000 international patients. Founded in 1979, Samitivej Hospital is one of the leading private hospital groups in Thailand. The main hospital, Samitivej Sukhumvit Hospital located on Sukhumvit Soi 49, is recognized as one of the leading private hospitals in Southeast Asia. Located in the heart of Bangkok, Samitivej Sukhumvit is a 275 bed tertiary care hospital with over 400 specialists. With a comprehensive range of medical technology, complemented by a team of highly qualified specialists and experienced caregivers, Samitivej Sukhumvit has long been the hospital of choice for the population of Bangkok. Thai Property Guide.Com Co., Ltd. is a Residential Real Estate Agency, founded in Bangkok in 1987. We specialize in providing high end residences for international executives based in Bangkok, Thailand. Our English-speaking sales agents are trained to select and show our expat clientele suitable homes, in the right location, at the right price, according to the needs of each family. We also familiarize expats with the neighborhood: how to get settled here in Bangkok, the closest grocery and shopping centers, hospitals, schools, and sports clubs. Crown is a global company with a multi-cultural workforce dedicated to quality and service excellence. At Crown we support our customers globally through our regional headquarters and offices in over 265 locations in almost 60 countries worldwide. Through that architecture, we are able to provide support to companies and individuals globally and locally with the services they need. Crown Relocations provides destination services, moving and administrative services to assist individuals and families relocating internationally or domestically. U.S. Global Tax Plan has been helping US citizens residing in Thailand and throughout Asia resolve their issues with the US tax authorities for over 30 years. We are committed to staying conscientious of the most recent US tax laws and how they are applicable to our clients. Our clients’ priorities are our priorities, and we use every possible provision in the US tax code to minimize the tax liability for our clients while keeping them compliant with the US tax law. Contact matthew@usglobaltaxplan.com for additional information or assistance. Bangkok Mothers & Babies International (BAMBI): BAMBI is a non-profit organization that provides support for mothers moving to Bangkok by serving as a source of information and advice. It also organizes events and supports Thai charities that promote child welfare. BKK Kids: An online directory and resource centre, BKK Kids provides a wealth of information for parents new to Bangkok. In addition to listing hospitals, schools and more, it often posts articles from leading educators and health experts in the region. Bangkok.com: Broader in focus than BAMBI and BKK Kids, Bankgok.com provides a variety of information and recommendations, including restaurants, areas of interest and activities. Its transportation section provides an excellent overview for those seeking to navigate the city's labyrinthine streets. The Bangkok Post: The Bangkok Post, first published in 1946, is Thailand's oldest newspaper. Despite the shift to online news in much of the world, it still maintains a print circulation of 75,000 and also offers an extensive online version. The Nation: The only other major English-language newspaper, The Nation began in 1971 and is part of a larger network of print, television and online media. Like The Bangkok Post, it provides print and online versions of its news.